GTFO, Blake Lively—there is no better Best Life candidate than 86-year-old widow Lee Wachtstetter, who has been a permanent resident of a luxury cruise ship for nearly 7 years. Sure, cruises are generally a terrible idea, but the 1,070 passenger Crystal Serenity—voted Conde Nast Traveler's #1 "reader's choice" cruise line for 21 years straight—seems a better retirement locale than most. Wachtstetter, or "Mama Lee," as she's called on board, sold her 5-bedroom Ft. Lauderdale home after her husband died and took to the open seas; she "stopped counting after 100" countries and rarely gets off the boat anymore: "Just say I've been to almost any country that has a port," she said. Istanbul is the rare exception: "I can't resist the Grand Bazaar," Wachstetter said. "You can find gorgeously regal or glitzy outfits there, perfect for formal or casual wear and not terribly expensive. I have to restrain myself every time because of my limited cabin space." The cost of living like a goddamn queen? A steep $164,000 per year. 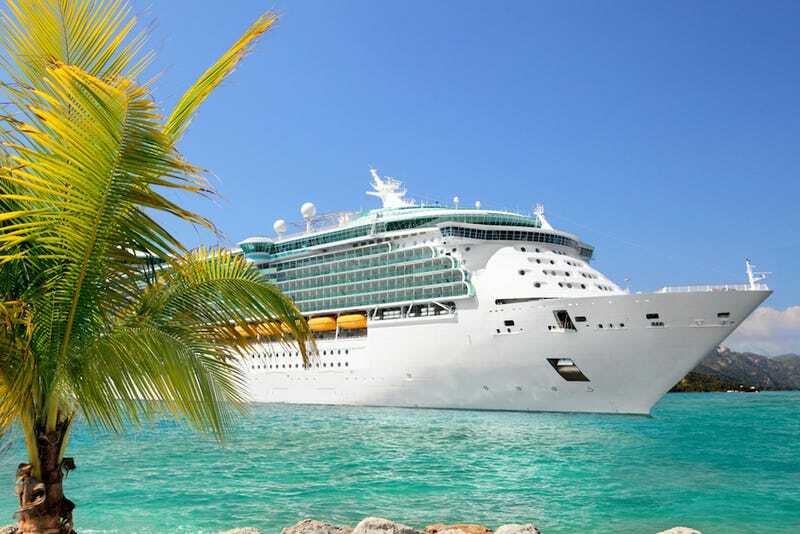 According to USA Today, "That'll cover costs of her single-occupancy seventh deck stateroom, regular and specialty restaurant meals with available lunch and dinner beverages, gratuities, nightly ballroom dancing with dance hosts and Broadway-caliber entertainment — as well as the captain's frequent cocktail parties, movies, lectures, plus other scheduled daily activities." This is the single most optimistic account of aging I've ever seen. Keep living the dream, Mama Lee.